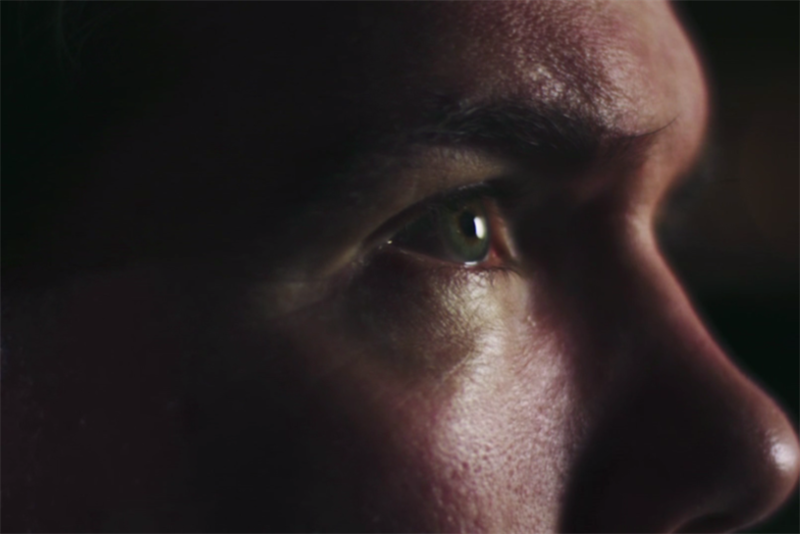 Answer ALS, a nonprofit supporting research toward a cure for the degenerative disease, has partnered with Microsoft and KBS to help former NFL defensive back Steve Gleason write his signature using his eyes, the only part of his body he can still move. Microsoft constructed an apparatus linking eye-tracking hardware to a robotic arm that Gleason can control with a look. The technology and Gleason’s story are conveyed in a 60-second digital spot from KBS and a social fundraising campaign that launch Monday. In the spot, Gleason is seated in his wheelchair, his eye tracing the curves of his signature, as a pen follows the same movements on a nearby jersey. Gleason is actually signing jerseys this way, and the finished products will be sold on the NFL’s official auction platform. Current and former NFL players like Peyton Manning, Eli Manning, Drew Brees, Dwight Clark, Odell Beckham, Troy Aikman, Victor Cruz, Joe Montana, Michael Strahan and Matt Ryan have committed to donating their own merchandise to the auction. All proceeds will benefit Answer ALS. "The point of the campaign is to show what Steve is able to do even though he only has the use of his eyes, and what his friends are going to do to help him," said Deb Maltzman, creative director at KBS. "We wanted to use his video as a way to launch this auction and say, ‘Hey, I just signed a jersey with my eyes. What are you guys going to donate to change the game for ALS?’"
The campaign begins with a tweet containing the video. Gleason announces that he is signing jerseys to raise money for ALS research, and he tags other NFL players, asking "Who’s with me," according to Clare Durrett, managing coordinator, Answer ALS. The concept grew out of a simple realization. The NFL offered the auction platform to Answer ALS, but "we needed something to draw people in and connect it to Gleason," Maltzman said. "What hit us is that Gleason can no longer do something that all athletes do regularly, which is sign their autograph." Occasionally, Gleason’s wife will hold his hand and sign it for him, "but we’ve been reluctant to do that because it’s not a real autograph," Durrett said. Since 2014, when Gleason appeared in Microsoft’s first Super Bowl ad, the tech giant had been working with his organization on assistive technologies. Gleason uses a Surface Pro to communicate and control his wheelchair. So KBS contacted the company with their jersey signing idea. "What they came back to us with is their eye-tracking technology," said Angela Denise, another creative director at KBS. "They worked feverishly in the last couple of weeks to get it going." In early September, KBS flew to New Orleans to film Gleason using the new equipment for the spot. The choice of location was the final component of the campaign. Gleason played for the New Orleans Saints, and he’s a legend in that town. After the city was flooded by Hurricane Katrina in 2005, the team had to leave the city while infrastructure was rebuilt. For a time, it seemed that New Orleans would lose the franchise. A year after Katrina, the Saints played their first post-Katrina home game, against rival Atlanta Falcons. Gleason blocked a punt, enabling a quick touchdown, in a play that’s become known as "The Rebirth." That play’s importance to the city is hard to overstate. It turned the stadium, the Superdome, into a symbol of triumph and hope after being associated with chaos and misery during Katrina. The city erected an eight-foot tall bronze statue of Gleason mid-play in front of the Superdome in 2012. "The city was broken, and he changed that with determination and talent and maybe some luck," Denise said. "I think that’s what’s going on here, too. He’s facing something so grim, but he won’t give up, and he’s got a heart like a lion, and he won’t be stopped." The NFL auction site is live now with Gleason’s signed memorabilia, as well as offerings from other players. It will continue indefinitely, and Answer ALS hopes to raise $1 million for research into a cure.